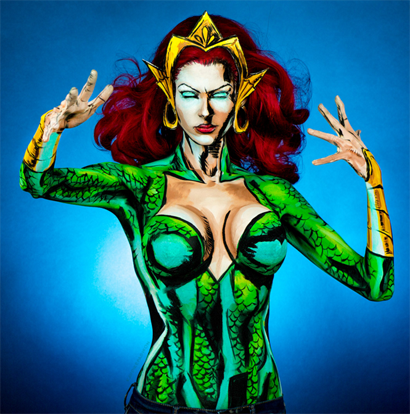 An artist named Kayleen Pike has been creating amazing body-painted versions of Mera, Dove, and other comic characters. I'm just posting this single image because of the video of the Mera model moving might be considered NSFW, depending. So you can see it--and more--here on Patreon. Amazing stuff!